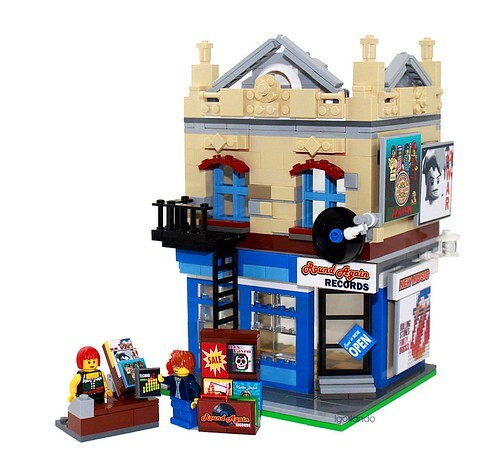 Brick Town Talk: Vinyl Countdown - LEGO Town, Architecture, Building Tips, Inspiration Ideas, and more! Retro Alley - (BTT) CD sales are down, yet vinyl sales are up. Whether people like the warmer analog sound or just enjoy messing with the heads of those in the music industry is up for debate, but the folks at Round Again Records certainly aren't complaining about a trend as circular as their products.